Mount Pierce (AKA Mount Clinton) is the first official summit named after a President in the "Presidential Range" and also lies on the Appalachian Trail. Views from the summit are great looking north but scrub obstruct most views to the south. 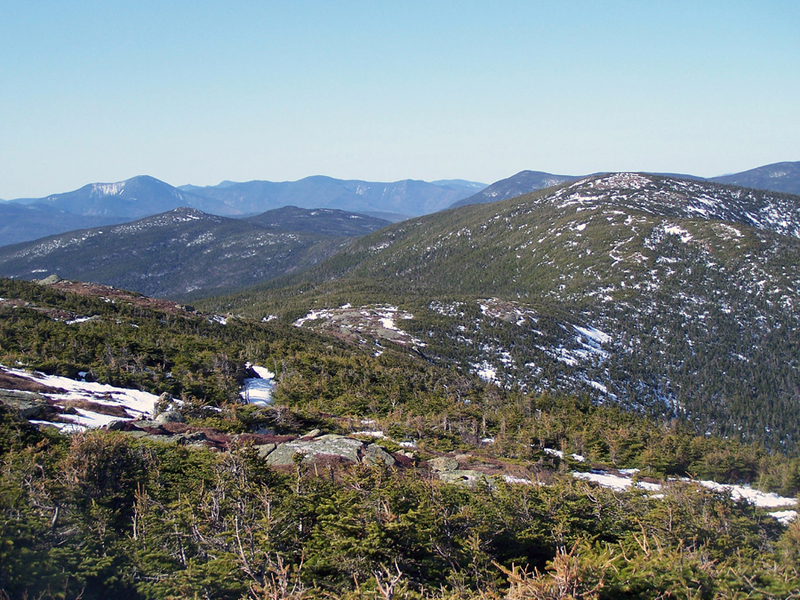 The two trails to the summit are the Webster-Cliff (A.T.) and the Crawford Path (3.1 miles, 2,400 feet). The Crawford Path has easy grades and good footing, the last section before gaining the ridge and the couple hundred feet on the Webster-Cliff Trail are exposed to the weather but is a great hike for beginners looking for views. Mount Pierce can also be reached from the Webster-Cliff Trail via the Crawford Path, Mizpah Cut-Off to the Mizpah Springs Hut, and heading north on the Webster-Cliff Trail (3.5 miles, 2,450 feet). The trails has easy to moderate grades with ok to rough footing all in the woods.